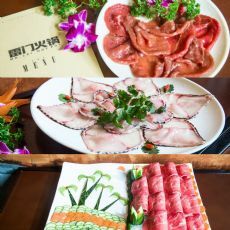 A hotpot restaurant with a unique name that stands out with its elaborate decoration that highlights the floral plants everywhere in the restaurant. Magpie Garden is the best choice people who want to bath in a relaxed atmosphere while enjoying hotpot since the restaurant is designed to feature the environment and lifestyle on an island. 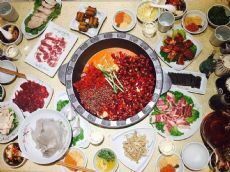 They have a traditional hotpot with a Southeast Asian flavors. A Heavy Metal style restaurant providing delicate dishes. 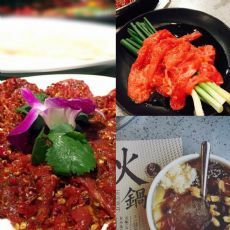 It is also known for the classical "beef fat pot" (牛油锅, Niu You Guo) flavor. Fun Foundue One looks like a coffee bar, with the decoration style of modern industry. It offers a new version of the classic Huangcheng Laoma flavors.